We have received word from the Convention Committee for MidSouthCon that they are being contacted by people claiming to be Darrell Awards Finalists. The Convention requires that we provide them a list of the Finalists by March 1st. This is because the Convention offers a free Saturday-only pass and a free Banquet ticket to each of our Finalists. The Jury is still meeting, members are still reading, and votes have not yet been taken in any of the categories except Hall of Fame. In short, there are no Finalists YET. We will release a list of Finalists here on this site after we turn in the list to convention registration and, if your work is chosen as a Finalist, we will contact you directly if we have your contact information. 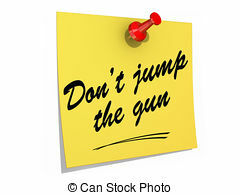 In the meantime, please do not jump the gun. One of these days, I am going to do reviews of all the works that received any sort of recognition for the Darrell Awards – be it honorable mention, semifinalist, finalist, first runner-up or winner. When that day rolls around, I will have my thoughts on All the Paths of Shadow by Frank Tuttle to use as a yardstick when measuring the quality of the other books. Just this: you know you have found a truly well-written story when you start reading it and are hooked so quickly that your legs fall asleep before you stand up, then you simply can not put it down even to go to sleep, even when your eyes are closing of their own accord, even to work on paying assignments with deadlines. You know you have found a superb work when you are about 2/3s of the way through it and are already sad that it will be ending soon, as you want to linger in the world it portrays much longer than that. Those who complain about long fantasy novels just do NOT understand — a master wordsmith such as Frank Tuttle can weave a story so well that anything shorter than a door-stopper in length just causes withdrawal pain way too soon. My only serious complaint about All The Paths of Shadow is that I will be finished reading it soon and I will be very sad to leave this world behind. If the Darrell Awards accomplish nothing else, the fact that they brought me into contact with the works of Frank Tuttle have made all the years I have devoted to them worthwhile. And, no, that does not mean this book will win the 2012 Best Novel Award. That is a matter for the Jury, I am only one member on it, and I must state that we have a crop of worthy contenders this year, with Nominations still open until 1-1-2012. Please see our website at http://darrellawards.org for the Nomination Form. First, the short story, novella, novel or other media work has to be nominated. This sounds simple, and anyone (including the author of the work) can nominate – yet every year we miss eligible works for lack of a nomination. Sure, if a member of the Jury finds an eligible work, that member MAY nominate it. Sadly, many eligible works are not found by us or brought to our attention. So, if you know of a work that you think may be eligible, NOMINATE IT. Forms are on the website (http://darrellawards.org/). Second, it has to be eligible. We expanded the counties covered for the 2010 Darrell Awards to include Hardin County and SHILOH, so please check back here and on our website for what we are considering our coverage area at the time you nominate the work. A story has to be either set in the Midsouth (at least one significant scene and more than that is better) OR have been written by an author living in the Midsouth at the time it was published. It has to be Science Fiction, Fantasy or Horror prose – no poetry. As we do not want to insult anyone’s sincerely-held religious beliefs, we are trying to draw a line between religious fiction (which is based on the author’s faith yet may have some fantastical or horrorific elements) and religious SF/F/H (which is mostly SF/F/H but may have some religious elements). We have added a Young Adult category this year, and grandfathered in works that might otherwise have been considered last year, so look at the Nomination Form for what time frame is eligible before you nominate. Children’s literature remains ineligible for the same reason that poetry is ineligible — there is just too much of it and none of the Jury reads it, so we are not qualified to judge it. Third, the work should tell a good story. The Jury is composed of SF/F/H fans, folks who read and read a lot. So, if it is yet-another rehash of an old story, it needs to at least say something new or tell it in a different (and good) way. Fourth, we all like stories that do not annoy us with typos – missing words, obviously-wrong words, and such. If your publisher does not have a good editor, find a good editor to proof your story BEFORE it is published. Fifth, while it is not a requirement that the person who nominates send us a copy of the story, we greatly appreciate it when they (or someone) does, as we can not judge a work if we cannot find it and our budget is very limited, so we buy very few books. Sixth, if you kill off one of the major characters in the course of your story, try not to make it one that the readers really like, unless the story requires it. Needlessly killing characters that we like tends to annoy us — it will cost you when we discuss your story. Seventh, a strong opening to a story helps to get us hooked. A weak or vague or unsatisfying ending can undo a good bit of the enjoyment of the story. Between the opening and the ending, there needs to be a good flow. If you do not understand these things, consider taking some classes or reading some books about writing BEFORE you self-publish your Great Masterpiece.